Looking for other countries to work as Overseas Filipino Workers (OFWs)? 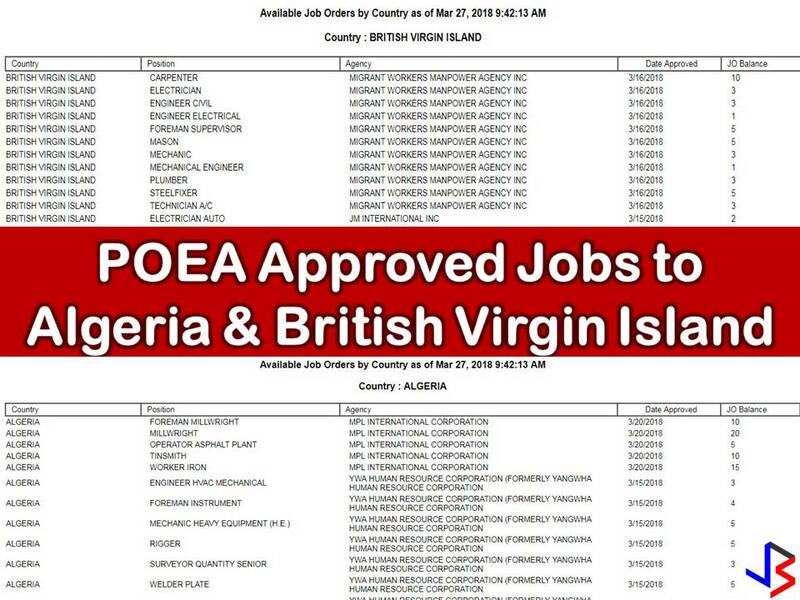 Here are job orders approved by the Philippine Overseas Employment Administration (POEA) to Algeria and British Virgin Island. The list below is latest job orders this March 2018 and still open for Filipino workers who want to apply. 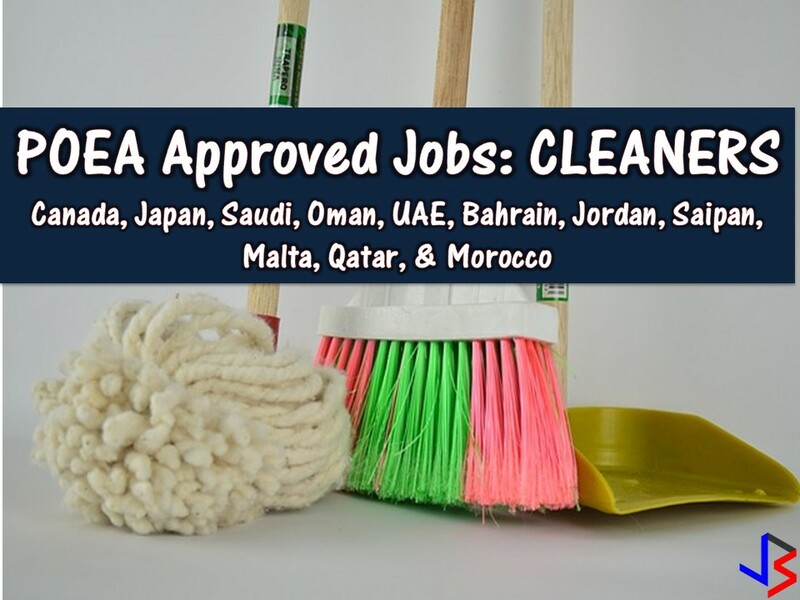 Read: Looking for Jobs Abroad? 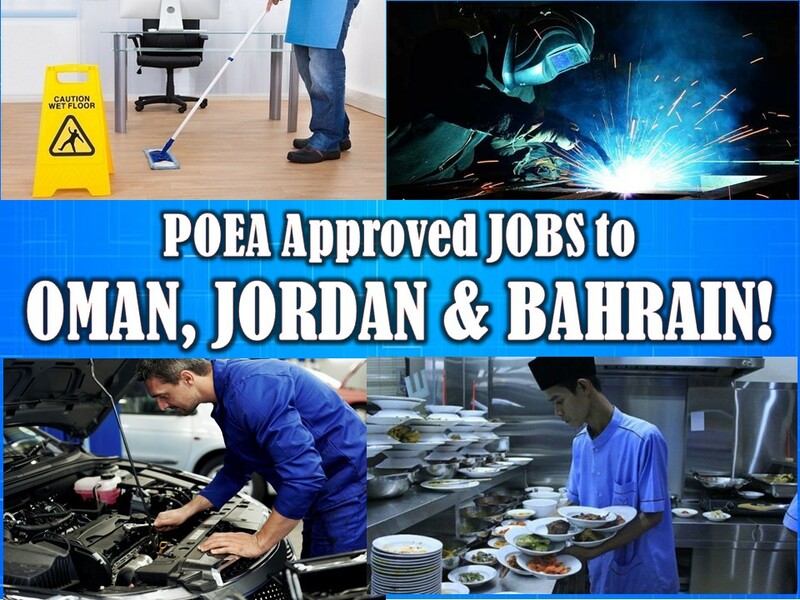 Bahrain, Oman, and Jordan are Hiring Filipino Workers This March! Job List Is from POEA! Read: Looking for Jobs Abroad? 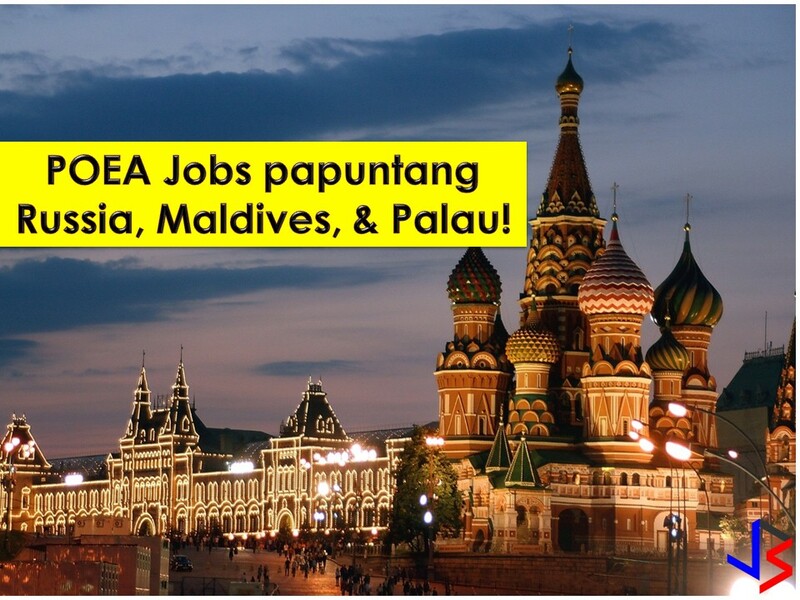 POEA Approved Jobs to Russia, Palau & Maldives!